1) Security and peace are two .................... that are necessary for a civilisation to be successful. 3) Ordinary Egyptians expected to receive .................... for their hard work. One way to help you understand a passage is to think about the main ideas before you begin to read it. 1) Read the title and think about what the passage contains. 2) Look at any pictures or diagrams before you read the passage. 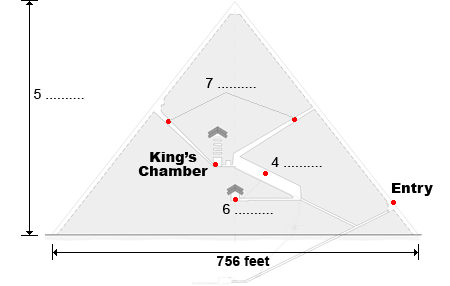 8) The surface of the Great Pyramid is covered in polished limestone slabs. 9) King Khafra died before King Cheops. 10) Egyptian carvings were often based on things found in nature. 11) Important characters in Egyptian carvings were bigger than less important characters. 12) Egyptian art was greatly influenced by the art of neighbouring cultures. A describe the construction methods of the pyramids. B explain the beliefs of the ancient Egyptians. C offer an interpretation of Egyptian art and sculpture. D provide an overview of early Egyptian society.